CLEVELAND, Ohio - When the Very Rev. 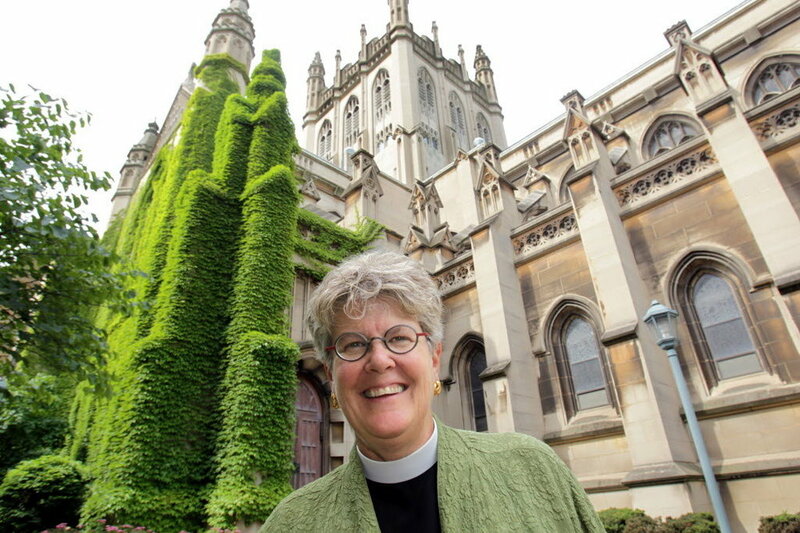 Tracey Lind preaches her final sermon at Trinity Cathedral this morning, she will mark the end of 17 years of leading Cleveland's oldest congregation of any denomination. When she steps down from the pulpit, she will also step down from her job as dean of Trinity Cathedral, the cathedral that serves the Episcopal Diocese of Ohio. Members come from as far away as Akron, Avon and Ashtabula. People want meaningful worship, music and education and meaningful opportunities to serve their community.I used to be an urban planner. I love cities. My vision, inspired by Angela de Merici, the Ursulines' founder, is that an urban cathedral should be a piazza, a crossroads, a place where people come together.